The problem of allocating a value in hierarchical cooperative structures is important in the game theoretic literature, and it often arises in practice. 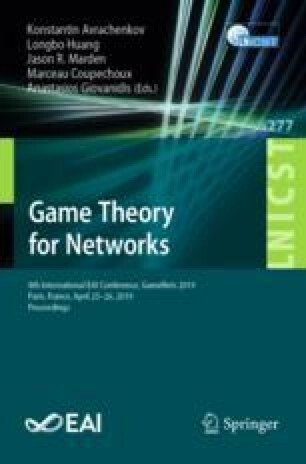 In this paper, we consider a two-level structure of players communication and propose a procedure allocating the value in two steps: first the value is allocated at the upper level among groups of players, and then each group allocates the designated value among its members. We demonstrate how to allocate the value in two steps using the Shapley value and show the difference with the classical one-step allocation procedure. We then adopt this approach for games with pairwise interactions and provide relations between several definitions of the characteristic function and the corresponding Shapley values. This research was supported by the Russian Science Foundation (grant No. 17-11-01079). The authors thank reviewers for valuable comments.